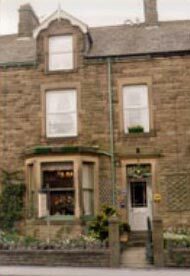 A warm Yorkshire welcome awaits you at the Oast Guest House in Settle town centre, within 10 minutes' easy walking of the railway station. Settle is an unspoilt old market town on the edge of the Yorkshire Dales National Park and close to the Three Peaks of Pen-y-Ghent, Whernside and Ingleborough as well as Malham with its famous Cove and Tarn. There is plenty to see and do from Oast Guest House. Ride the Settle to Carlisle Railway with its spectacular scenery. Explore the limestone caves of Ingleborough and White Scar, walk and cycle the numerous local routes. Bikes can be hired in Settle. The Oast Guest House Accommodation offers 4 en suite bedrooms, the 5th bedroom has a shower and separate toilet. There is a choice of double, twin, kingsize or family rooms. Each room has freeview television, fresh fruit and mineral water. If you have any special dietary needs, meals can be tailored to suite your requirements.